Situated on an elevated 2 acres (approx.) to capture the mountain views this 2 storey home is a credit to the owners with the thought that has gone into the design of the home to accommodate and maximise the use of the land with its extensive landscaping including an amazing natural rock and stone wall. The 3 bedroom, 7 years young home has had a lot of thought gone into its design and zoned living. 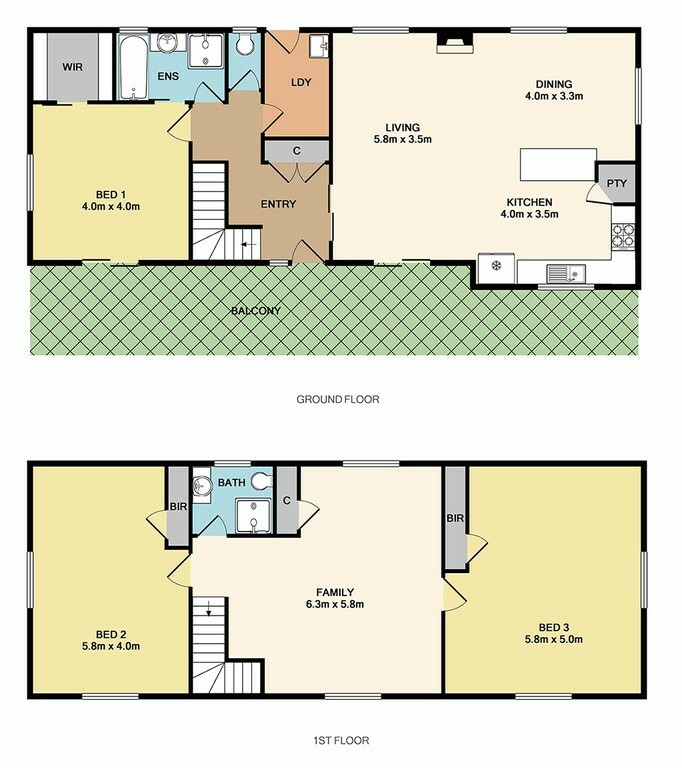 The lower level invites open plan living with a great size kitchen, electric cooking, wall oven, plenty of storage, the lounge/dining area has high quality floating floor boards, wood fire, split system. The main bedroom is also located on the lower floor with a full ensuite and walk in robe with a separate toilet. Upstairs we have another 2 huge bedrooms with BIR's, ceiling fans, split systems and dormer windows there is another living area with large windows and so much natural light with beautiful mountain views. This property has so many extras that would entice any astute buyer with energy efficiency being the main focus of the owners, with solar panels that are north facing which collects so much power that goes back into the grid, a solar HWS and insulation to the walls and roofs are all just a bonus. There is a 6 X 4 colour bond shed with concrete and power and full concrete driveway to the house. The property has an amazing tasty veggie patch and fruit trees that produce amazing produce, plus to enhance your self suffiency there is a totally enclosed chook run. All of this is located at the entrance of Mount Robertson State Forest, which would suit bush walkers, 4 WD and motorbike enthusiast. This ideally positioned home is for those who have had enough of the rat race and want the quiet life. Call today to inspect.